Paul G, AKA irishmicro and his first solo flight. Awsome Video. Thanks for sharing it with us Paul. 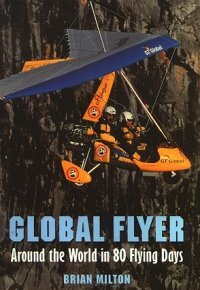 Brian Milton - Global Flyer, The First Chapter. You die yourself in the end. I think there's a typo above, 0.22pF is an extremely small value of capacitance! They are probably not even made unless special order only! Really? So easy to get bits from Farnell or RS here. Actually the resistors and capacitors all came from bulk packs from Maplin. Got loads, so if you are stuck I can send some on.